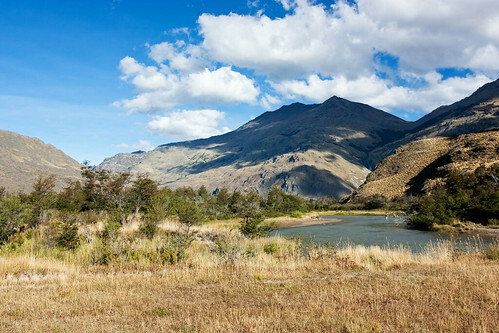 With the purchase of all of the land in the Valle Chacabuco, Conservacion Patagonica also became owners of several farm houses. 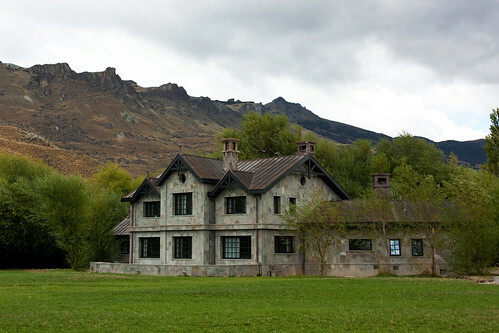 The Casa de Piedra sits at the mouth of the Aviles Valley and would serve as our base camp. We still set up camp in the trees with our tents but used the small house for the kitchen mostly. 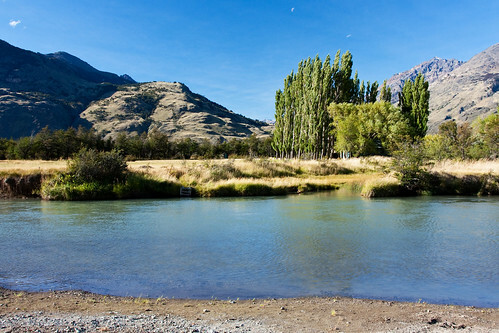 John fly fishing on the Rio Chacabuco during our downtime. The rest of the day was spent stocking the kitchen, setting up camp, the radio to communicate with the estancia, and preparing dinner. There were already ~5 weeks of work done on this new trail and it stretched roughly 6km away from the Casa de Piedra. The first kilometer was through a dry wash and went pretty quickly apparently, but then shortly a switchback section had to be cut through a steep slope which slowed them down greatly. After the initial 6km the trail just stopped, and I knew that’s where we were starting. We were split up into groups of 4, each with a different leader who had already been doing the work and could share his or her knowledge. Each group would work on a ~30m section of trail and then jump ahead once complete. It involved tearing out the roots of some of the pampa shrubs and then grading the trail to be relatively flat. We did this work for 3 more days, winding through a few different interesting sections of trail. On the last day we just reached the top of a hill which gave us a few of the spectacular Aviles Valley which we really had not seen up until this point. I was convinced at this point that I would like to return some day and experience the full length of this hike when completed. I forgot to bring my GPS to the stone house, so I unfortunately couldn’t measure exact distances. I estimate that we added about 3/4km of trail. After breaking down camp and packing up the food and supplies we used, we were picked up by the estancia van and taken back to the Carpa Verde. Not exactly roughing it, but Casa Aysen was a nice escape from the rain of Patagonia. It would be another mostly lazy weekend around the estancia. For the most part we would get out and try to do something, but sometimes it would just rain, rain, and rain and we would all be shut in Casa Aysen reading or playing board games. At least this weekend we had Juanjo’s birthday to celebrate so after someone made a trip in to Cochrane for booze, we had a great night in the Carpa Verde. This entry was posted on March 4, 2012. 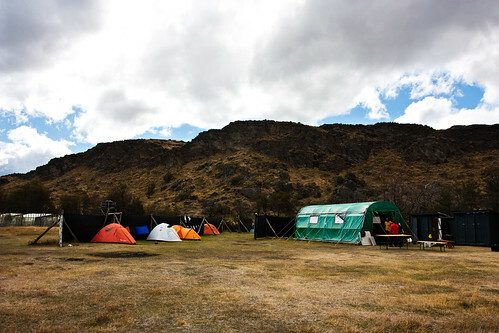 It was filed under Travels, Trip Reports and was tagged with aviles valley, chacabuco, chacabuco valley, Chile, conservacion patagonica, patagonia, sa2012, trailwork, valle aviles, valle chacabuco, volunteering.